Among many concerns associated with filing bankruptcy, one that stands out is the concern that your credit rating will be ruined. Surprisingly, any damage done to your credit score isn’t as bad as you might expect. In the long run, getting a credit score that is high enough to obtain new credit with competitive rates isn’t impossible at all. In fact, it can be done with a little effort. The reason that your score is not likely to suffer that much is because most people are struggling with debt that is creating a low score already. According to the experts at the credit reporting agency Experian, in every instance, consumers already have problems with debt repayments that include high balances, late payments, collection accounts and charged off accounts on their credit reports. Considering this, some consumers may see a slight rise in their credit scores after filing a bankruptcy. The reason for this is that your credit account balances are wiped clean after you declare bankruptcy. High balances are removed along with late payments or records of unpaid debts. The accounts included in the bankruptcy will be marked as a bankruptcy or included in bankruptcy. You aren’t likely to see a big jump directly after filing bankruptcy, but if you have been just trying to get by, your score isn’t like to fall much further. Over the long term, a bankruptcy may help your credit rating. Here’s why: When credit scores are calculated, the formulas that are developed are structured to evaluate someone’s credit as compared with that of people in similar positions. In order to do that, groups are divided into 10 groups using what credit evaluation experts call score cards. It then ranks each group based on others among the group. One of the score cards is known as bankruptcy filers. After filing bankruptcy your score will be determined using the basis of how you compared with others who filed bankruptcy. Your credit report is not compared with others who have perfect credit. This results in several categories of scores among people who file bankruptcy. In that group, some people will have good credit scores, some will have bad scores and some will have scores that fall in between. You won’t have the ability to boost your credit score to 850 as long as the bankruptcy stays on your credit report, but if you manage the credit after you file, a score of 700 is not impossible. If you want to boost your credit score as soon as possible after declaring bankruptcy, make sure all the credit accounts you included in the bankruptcy are marked as bankruptcy, and that they show a zero balance on your credit report. 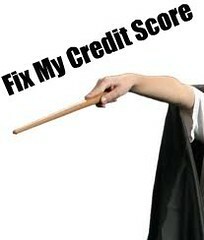 The next step is to recover from the current bad credit score. If you cannot get approved for an unsecured credit card, get a secured credit card. With secured credit, you make a deposit with the credit card company that acts as your credit limit. Each month the account will show as timely, since you cannot go over the balance that you deposit into your secure credit card account. Usually, after approximately a year to 18 months of timely payments on your secure credit card account, you will be able to get an unsecured credit card. Another thing you can do to improve your credit score is to get a car loan. Directly after your bankruptcy, most banks will turn you down for a conventional car loan; however, car dealership creditors can be more forgiving or lenient than conventional banks are. Although the interest rates may be higher, most people who have filed bankruptcy can get credit from a car dealership just a few months after a bankruptcy. Our firm works with a car dealer (Weiss Toyota) in St. Louis whose financing partner (Prestige Financial) specializes in loans for people in bankruptcy. Considering all of the information, filing for bankruptcy doesn’t have to be the death of your ability to secure future credit. Your credit future will depend on how well you tend to the credit you have after filing a bankruptcy. In a matter of 12 to 18 months, your credit score can be good if you make the right moves.